Retina Specialists Seattle, Retina Doctor Seattle, Opthalmologist Seattle || Retina Specialists Northwest - Vitreous traction, or pulling in the peripheral retina, can oftentimes lead to a retinal tear or detachment. Vitreous traction, or pulling in the peripheral retina, can oftentimes lead to a retinal tear or detachment. Signs and symptoms include flashes or a shower of floaters that occur in the vision quite suddenly. If these symptoms occur, you should be evaluated by your eye care provider promptly to assess the risk of a possible retinal detachment. A retinal tear is when the vitreous pulls and makes a break in the retina, the thin layer at the back of the eye that acts like the film of a camera. With cryoretinopexy or laser retinopexy, the equivalent of spot welding the retinal tissue to the back layer of the eye to prevent fluid migration into the break subsequently leading to retinal detachment. The procedure is performed in an office setting most commonly with only topical or local anesthesia. 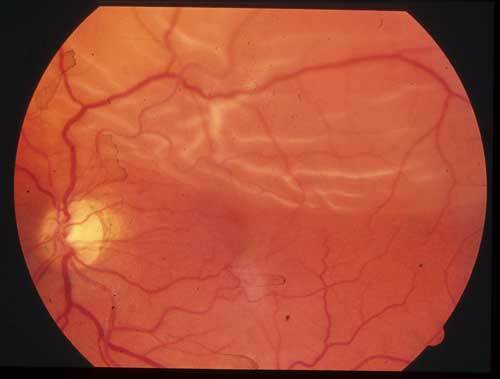 A retinal detachment occurs when the fluid migrates beneath the retinal tear and lifts the retina off of the back of the eye wall mimicking taking the film out of a camera. There is loss of vision wherever the retina is not attached to the eye wall. Thus, retinal detachment necessitates urgent care with surgical repair of the defect in order to restore visual function. The surgery will be directed by the retina specialist and can sometimes be performed in the office or may require more extensive procedures in the operating room. Retinal detachments are repaired with the use of cryo (freezing) or laser (light) retinopexy as well as possible use of air or gas bubbles, vitrectomy (removal of the vitreous gel), or scleral buckle (silicone band around the eye wall). In recent decades, surgical outcomes are now successful well over 98% of the time with anatomic re-attachment of the retina and most often recovery of at least some visual function. Visual outcomes are best when the detachment is discovered and treated without delay. Retinal surgical techniques involving the use of a gas bubble or air bubble require prolonged positioning as instructed by the surgeon and necessitates that high altitudes such as traveling in the mountains or flying be avoided until the bubble has completely disappeared. Your RSN doctor will tailor your care and makes every effort to control costs and expedite care whenever feasible using office-based procedures.